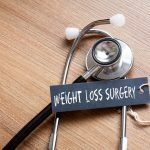 Weight Loss Surgery | Which Procedure Type is Right for You? Weight loss surgery is a serious surgical procedure that decreases the size of the stomach, reduces food intake and can enable you to lose a significant amount of weight. It is a permanent procedure that requires a lifetime commitment to maintaining a healthy lifestyle. Bariatric surgery not only helps you to lose weight, but can help improve your overall health, well-being and self-esteem. Gastric bypass surgery, Lap-Band surgery and the gastric sleeve procedure are the three most widely practiced types of weight loss surgery. During gastric bypass surgery, the surgeon staples the smaller, upper part of the stomach, separating it from the rest of the stomach. The net result is that the amount of food you can eat is reduced. The small intestine is rerouted and connected to the smaller stomach pouch. Gastric plication is a newer procedure performed by growing numbers of bariatric surgeons. Also referred to as laparoscopic gastric plication and/or laparoscopic greater curvature plication, the procedure more than halves the size of your stomach to limit the amount of food you can eat at one time. The cost of gastric plication is similar to the cost of gastric sleeve. It is best to consult a surgeon who specializes in bariatric surgery to determine your options for treatment. 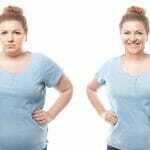 If you are significantly overweight and you have been unable to achieve or maintain a healthy weight with diet and exercise, or if your weight is causing medical problems, you may be a candidate for weight loss surgery. 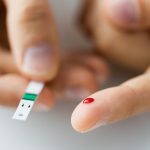 A physician will also evaluate your existing medical conditions that may complicate surgery, your medical conditions that will improve after surgery and whether you are ready to adopt a dietary lifestyle change. Which type of bariatric surgery is best for me (gastric bypass, Lap-Band or gastric sleeve resection)? What are my dietary guidelines after surgery? How will my health improve after surgery? Will I need to have plastic surgery after bariatric surgery, and if so, which procedures? Asking questions like these can help you feel more comfortable with the procedure and help you prepare to make lifestyle changes to ensure that your long-term outcome is successful. Weight loss surgery is performed under general anesthesia and can take one to four hours for gastric bypass surgery, 30 minutes to one hour for Lap-Band Surgery and up to four hours for gastric sleeve resection. A hospital stay may be required. After weight loss surgery, resuming your normal life can be a challenge. The most significant change is the amount of food you will be able to eat. Most surgeries reduce stomach capacity to a few ounces or less of food or liquid. At first, you may have less energy for daily activities. Recovery time varies, but many people can return to normal activities within six weeks of the surgery. The reduction in the amount of food you can eat can help you lose a significant amount of weight. Many people who lose considerable weight are left with loose or excess skin.